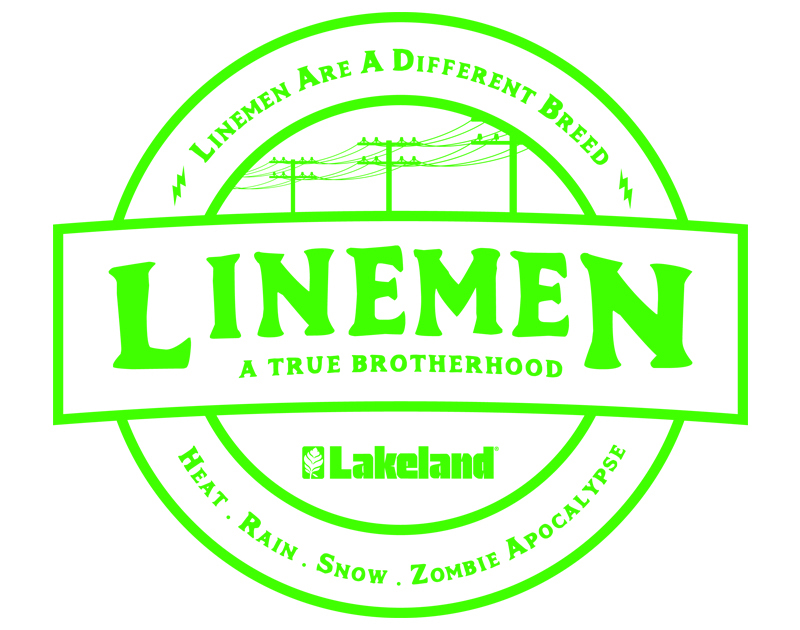 Every year in October, linemen from around the world gather to test their skills and knowledge in traditional industry tasks. From climbing to hoisting, and everything in between, linemen compete and hone their skills alongside hundreds of fellow professionals. Interested in learning more about the International Lineman's Rodeo? Take a look below as we discuss everything you need to be prepared for next month’s big event with advice from linemen who’ve been there. The International Lineman’s Rodeo is an international event, attracting the best linemen from around the world competing in events based on traditional line mechanic tasks and skills. The event dates back to 1984 and has grown to include more than 200 teams and 250 apprentices. The 34th Annual International Lineman’s Rodeo is Saturday, October 14th, 2017 in Bonner Springs, Kansas. The 34th Annual International Awards Banquet will be held Saturday evening, October 14th at the Overland Park Convention Center located at 6000 College Boulevard, Overland Park, Kansas. The International Lineman’s Rodeo Expo ’17 will be held October 12th and 13th at the Overland Park Convention Center. The 2017 International Lineman’s Rodeo Safety & Training Conference will be October 11-12th at the Overland Park Convention Center. So what can you do to get prepared to compete with the world’s top linemen? 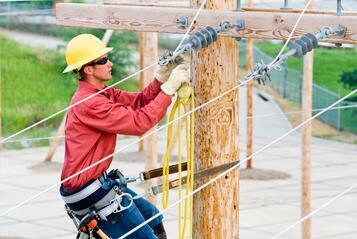 Below we highlight tips from real linemen. Mental sharpness is one of the most important aspects of life on the line and in competition because it means you actively prevent accidents and stay safe. Here are a few tips to boost concentration. Get enough sleep. Your ability to stay focused starts with a restful night’s sleep. Build a nighttime routine and stick to it to keep your mind sharp. Stay hydrated. Thirst is a distraction and it usually means your body is already dehydrated. Drink regularly throughout the day to keep your mind and body engaged. Comfort matters. Your ability to concentrate depends a lot on your physical state. If your clothes are soaked with moisture or uncomfortable, your mind will not be 100% on the job. Focus and visualization techniques. One task at a time, deliberate, calculated movements — on the ground that’s easy — 50 feet in the air, that’s when focus is needed most. Practice visualization to help you improve focus and concentration. Control your energy. Learn techniques to control your energy and your emotions. Channeling your positive, determined energy when you are challenged on the line can be the difference between task frustration and success. Meditation and breathing techniques. Don’t overlook the power of meditation and simple breathing techniques to help you boost concentration. Deep breaths can do wonders for focus. Rest and stretch. Take a breather during competition down-time and stretch out sore muscles when your feet hit the ground. Giving your body a break and periodic stretching will help prepare you for the next event challenge. Look where you are going. It might seem obvious, but as you climb, don’t be tempted to look at your feet. Instead, look and see where you are headed. As you maneuver, your feet will follow your hands. Secure your feet. Secure your feet before you advance upwards. If you have a tough area to get around, use your feet first, and trust your climbers. Once you’ve established a stable position, continue to climb. Climb the high side. Poles aren’t always straight. Always climb on the high side to keep your body weight above the pole. Position your body on an angle to maintain balance as you climb. Be Confident. Climbing doesn’t always come second nature. Gain confidence in your climbing ability with practice. Your apparel choice can greatly affect your comfort and safety. Choosing an FR garment that lets you stay focused during your tasks is critical in an environment where every detail matters. Take a look at these key apparel selection factors. How does your FR performance apparel measure up? Select a garment with the appropriate ARC Rating from your hazard risk analysis. Breathability of the fabric, or air permeability, is important to keep you cool on the job. Vertical moisture wicking measures how well a garment pulls moisture off of your skin into the fabric. 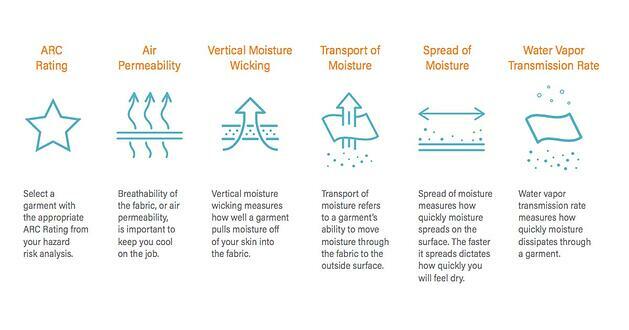 Transport of moisture refers to a garment's ability to move moisture through the fabric to the outside surface. Spread of moisture takes moisture that has moved through the garment and spreads it on the surface. The more it spreads and the faster it spreads dictates how quickly you will feel dry. Water vapor transmission rate measures how quickly moisture dissipates through a garment. Choosing an FR garment is important to protect you from the dangers on the job. Choosing FR garments with superior moisture wicking technology will protect you in other important ways. Prevent accidents by selecting FR performance apparel with superior moisture wicking technology to keep you and your colleagues safe in competition and on the job. Interested in learning more lineman training and fitness tips, and how to layer FR clothing to optimize on-the-job performance? Download our eBook now: Lineman Safety & Performance Guide, to learn how you can climb stronger, work safer and prevent accidents. Lakeland set out to create an FR performance line that could exceed FR safety requirements, outlast the elements, maintain lineman body temperature and still be comfortable enough for everyday wear. Lakeland FR performance apparel offers dual-certified protective apparel with advanced moisture wicking technology and a lightweight design with maneuverability and comfort in mind. But don’t just take our word for it, ask for the data and you’ll see that Lakeland outlasts the competitors in every category. Learn more by following Lakeland on Facebook and Twitter, and be sure to #AskForLakeland.